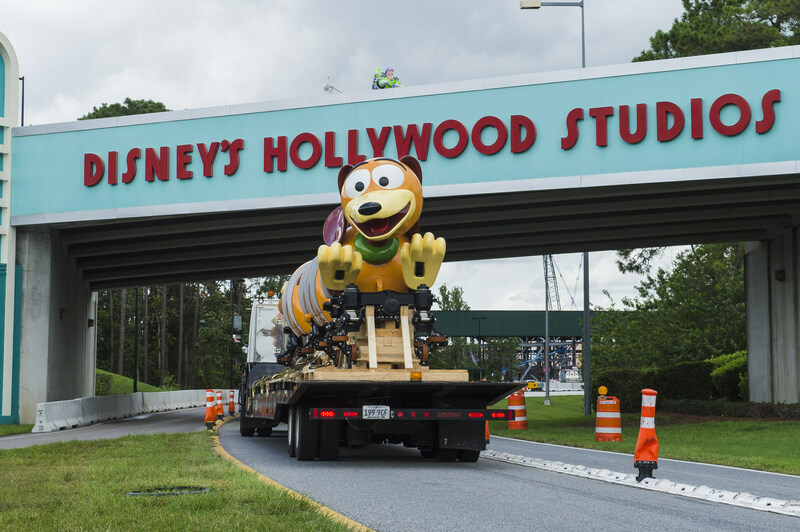 Fittingly on National Slinky® Day today, Walt Disney World Resort revealed the first attraction vehicle for Slinky® Dog Dash, a brand-new family coaster coming to Disney’s Hollywood Studios. 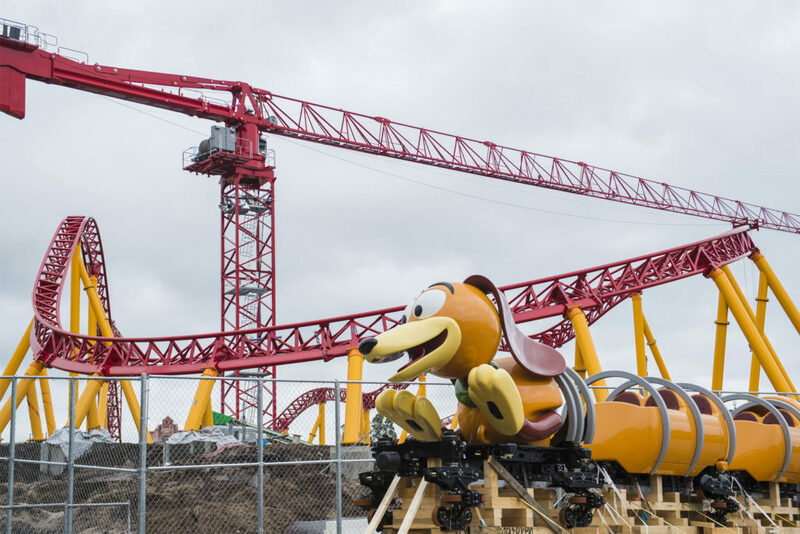 Slinky® Dog Dash will be among the toy-riffic experiences found in the all-new 11 acre Toy Story Land that opens next summer. It’s all part of a multi-year transformation of Disney’s Hollywood Studios. Toy Story Land will invite guests to step into the whimsical world of Pixar Animation Studios’ blockbuster films where playtime stretches longer than a Slinky® Dog. Guests will feel like they’ve shrunk to the size of a toy as they play in Andy’s backyard with their favorite Toy Story pals. Inspired by the playful dachshund spinoff of Slinky®, the classic American toy, Slinky® Dog Dash will send riders dipping, dodging and dashing around turns and drops that Andy has created to stretch Slinky® and his coils to the max. Slinky® Dog Dash will be joined in the new land by more beloved Toy Story pals in another fresh-from-the-box themed attraction — Alien Swirling Saucers. This Pizza Planet toy play set is loaded with Aliens circling about in their flying saucers pulling along rocket ships full of Guests. The new land will also encompass what’s already one of the most popular Walt Disney World attractions – Toy Story Mania! In 2019, Disney’s Hollywood Studios adds another major expansion when Star Wars: Galaxy’s Edge opens. 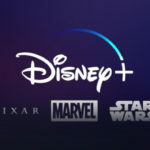 It will give fans the opportunity to live their own Star Wars stories.